6311181: 14-15 Chevy Silverado 1500 (All models). Torch Series X Metal Custom Mesh Chrome Studded Grille with LED Driving Lights. Built in LED driving light bars (center) 12" long, 4.2Amps, 72Watts, 5760 Lumens. Outer lights (x 2) 6" light bars (outer) 2.2Amps, 36Watts, 2880 Lumens. 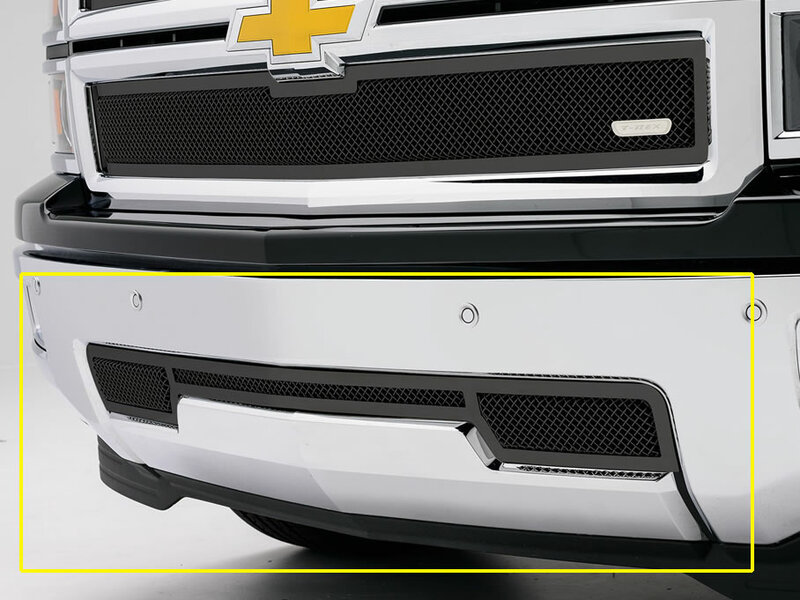 Tell your friends about the X METAL Torch Series Custom Grille w/LED Driving Lights. Share this product on Facebook, Twitter, MySpace or send an email to a friend!